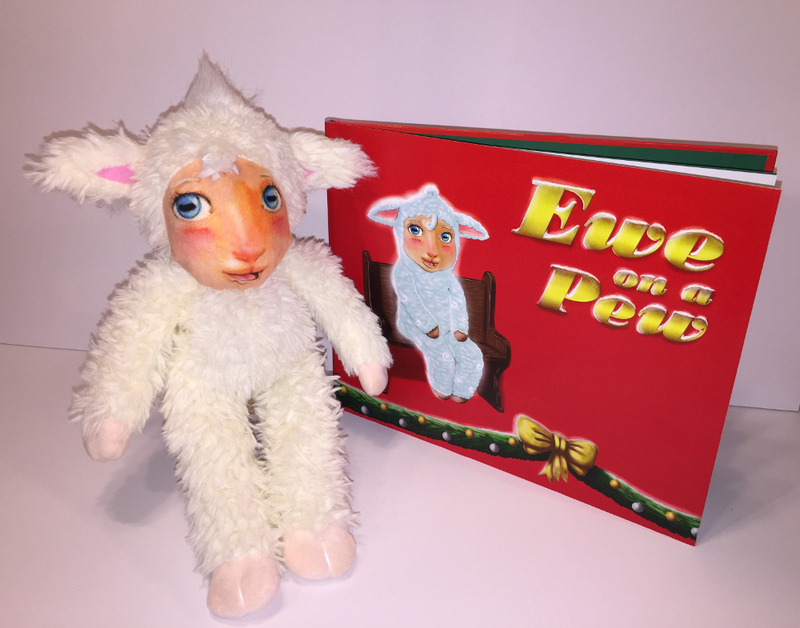 Ewe On A Pew is a book and plush toy combo: it includes a 10 inch plush toy & fully Illustrated children's book. 2. Then, you've got to give your Ewe On A Pew a name! The Ewe On A Pew is a part of your family and needs a name for his/her new family! Children are encouraged to hug and love on their Ewe On A Pew. 3. Each morning the Ewe On A Pew will appear bringing new tidings of great Joy each morning! The Ewe may write a scripture message on the bathroom mirror one morning or maybe you'll find her joy riding under the Christmas tree in a toy car, or maybe you'll find her in a party hat throwing a birthday party for Jesus with the other stuffed animals! Who knows what kind of adventures your Ewe On A Pew will go on! What's great about Ewe On A Pew is it's adaptable to the style of each family but his message is the same in all households - Christmas is about celebrating the birth of Christ!